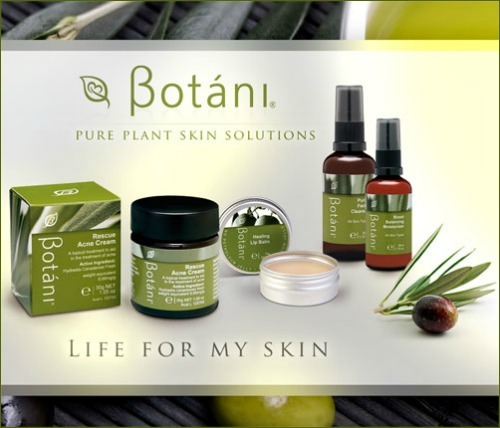 Last week, I introduced you to Naturalmente, a full range of natural, organic and eco-friendly plant-based products from Tuscany, Italy. 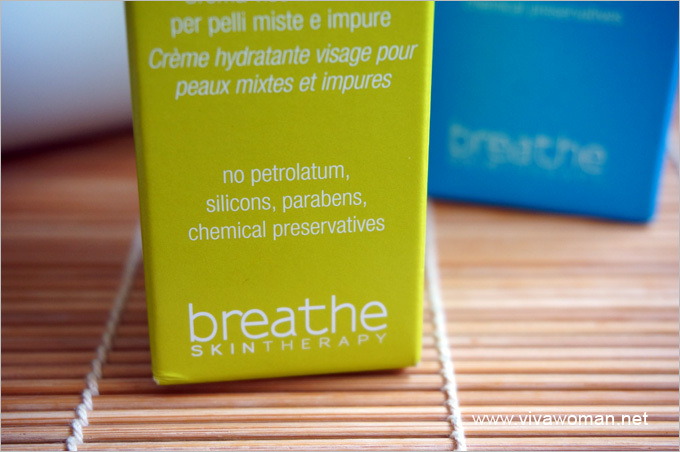 There are many products under the brand but today, we’re going to evaluate a few of their products sold under their Breathe Skin Therapy range that are free of parabens, nickel, petroleum by-products, silicones, artificial colouring, SLS and PEGs. Here’s a quick recap for those who missed my last post about them: products under the Naturalmente brand are all made with pure essential oils and plant extracts produced and harvested using organic, biodynamic and spontaneous agricultural methods. 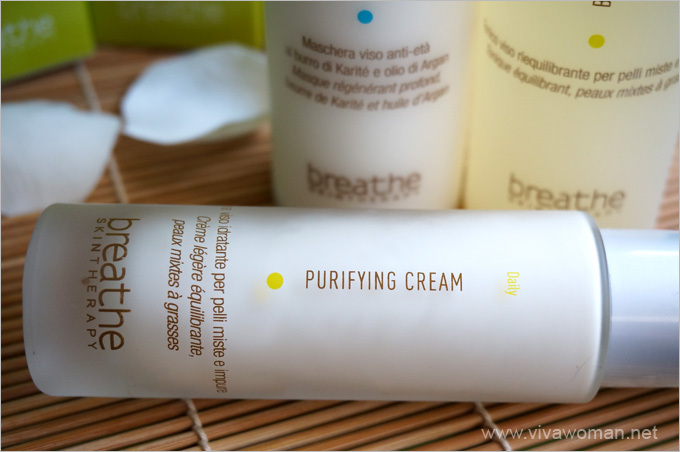 All their products, including the Breathe Skin Therapy range, have been certified by an Italian Organic Certification body called Qualita Reale. QualitÃ Reale not only certifies for natural and organic ingredients but it is a standard that ensures that the entire manufacturing of the products are ethical, sustainable and in the best interest of the consumer. 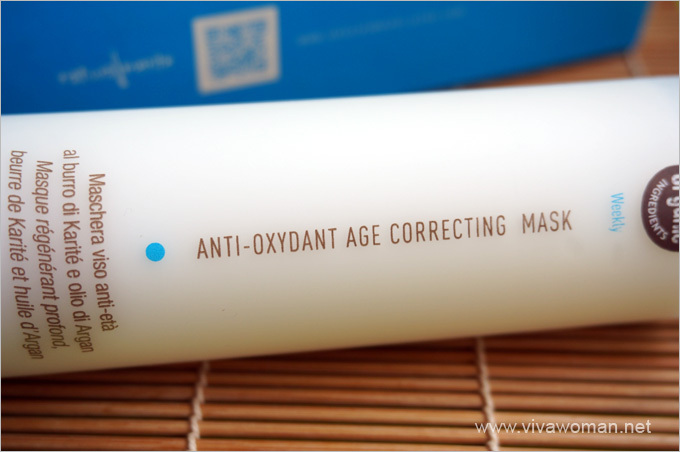 Under their Breathe Skin Therapy range, products are divided into daily care, weekly care, age correcting regenerative treatment, brightening advanced treatment, and lifting treatment. And as part of my review, I was presented with four products to try and they are the Antioxidant Age Correcting Mask, Purifying Cleanser Gel, Balancing Lotion, and Purifying Cream. This is an ultra-moisturizing face mask containing shea butter, jojoba, avocado oil, and squalene. It is formulated to have smoothing and anti-aging properties to nourish, restore normal firmness and tonicity to facial skin. It offers a high content of antioxidants derived from the powerful ingredient argan oil, wheat germ oil, olive oil plus sodium hyaluronate. Formulated to be used once or twice weekly, this mask also aids to fight sun damage, reduce the appearance of fine lines and wrinkles, as well as improve the skinâ€™s elasticity. 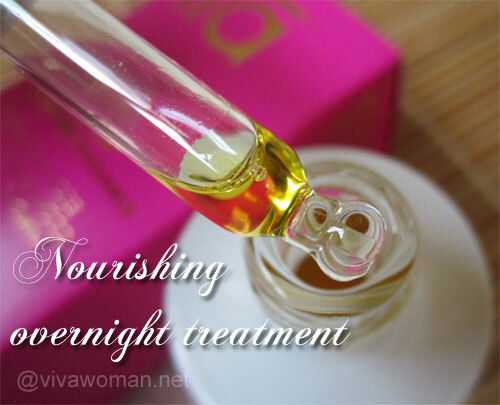 In addition, Naturalmente’s trademark ingredient orange extract also acts as a natural AHA to increase in cell rejuvenation and reduces the signs of aging. Just apply a generous quantity of the mask over clean facial skin, leave on for between 10 and 15 minutes, wash off and apply your moisturizer. This is a great mask for dehydrated and dry skin types because it can replenish and restore the skin. On top of smooth skin, I actually felt like my face received a boost of moisture immediately after using this. But let me caution that if you have skin that is sensitive to most active ingredients, you might want to mix this with yogurt to “dilute” the strength. You can do this for your initial first few applications without compromising on the product’s effectiveness until your skin gets used to the active ingredients. Although I have combination skin rather than oily skin, I decided to give this a try as I like using cleansing gel. It doesn’t contain SLS but is formulated with natural surfactants which remove excess sebum in a more gentle and less aggressive manner. The natural active ingredient, lactyl, apparently stimulates the level of hydration naturally present on the surface of the skin so excessive dehydration is avoided. Because this is a formula created for oily skin, the combined action of burdock and white birch extracts are effective in the treatment of congested skin and blackheads while artichoke and witch-hazel extracts are excellent allies in normalizing oily skin. I actually quite like this cleanser gel but I later realized it contains alcohol denat (natural grain alcohol derived from organic farming) and I really should have picked their Moisturizing Cleanser Emulsion, a gentle and non-irritating creamy cleanser emulsion for normal to dry skin. But still, I have to concede that this cleanser for oily skin is able to wash away the grime and dirt on my face without causing my skin to become dry and taut. Although it does not contain SLS, it actually lathers up quite well and is able to cleanse away makeup, grime and dirt pretty thoroughly. Okay, this is really a facial toner formulated for oily acne-prone skin types as the combination of burdock and white birch extract aims to treat of blocked pores and eliminate blackheads. The toner is also said to be able to relieve any inflammation in the skin thanks to ingredients such as lemon and fennel extracts. Again, this product contains alcohol denat but I was told it isn’t formulated as an astringent plus it comes with emollients and moisturizing properties and so it isn’t drying. I mostly used it around my nose area as that is the oiliest zone but for the one or two times I used it on my entire face, I didn’t find my skin drying up. This alcohol denat-free Purifying Daily Moisturizer is really nice. The texture is like that of a very thick lotion but it doesn’t feel greasy nor does it leave an oily feel. Yet is very light and gives the skin a mattifying effect thanks to the presence of active ingredient such as argan oil, sesame seed extract and saw palmetto extract, which helps to normalize the secretion of sebum. As this moisturizer is formulated for oily skin, it also contains ingredients like burdock and white birch to treat blocked pores and reduce blackheads. If you have oily or combination skin and hate the idea of applying something that clogs your pores or cause your skin to be loaded with oil, then this will be a godsend. If you have acne prone or oily skin, the Purifying Cleanser Gel, Balancing Lotion and Purifying Cream may work well for you. 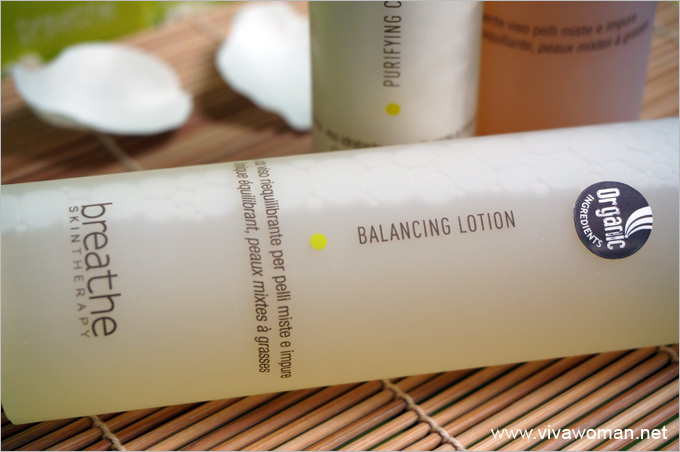 The cleanser and balancing lotion contain alcohol denat which is natural grain alcohol derived from organic farming but I was told that the amount used in both products does not cause any adverse side effects like skin dehydration or irritation. Instead, the formulation aim to balance the level of sebum on oily skin so as to prime it for the alcohol denat-free Purifying Cream. 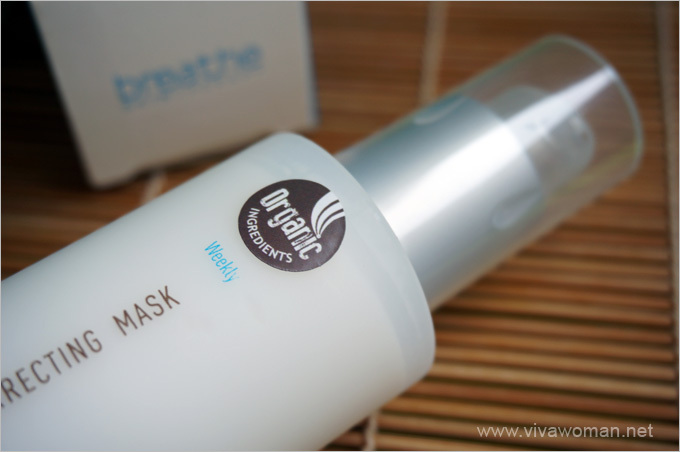 Besides the products for oily skin, Breathe Skin Therapy range also has products for other skin types. If you have dry or normal skin, go for the alcohol denat-free Moisturizing Cleanser Emulsion to cleanse your face before using the Moisturizing Cream or Purifying Cream. Prices for the Naturalmente Breathe series do appear to be high but the formulations are quite effective and they are able to deliver what they promise. In addition, because the formulations are so concentrated, you only need to use a bit of each product each time. Since they come in rather generous sizing, that means you can also use each product for a few months. So all things considered, the pricing actually works out to be quite economical. For more information about the range, look up their website for more details on how to order online. If youâ€™re in the vicinity of 112 Katong, you can also check out the products at Adonica Kube located at #03-36. Hi Sesame! Happy Chinese New Year and Gong Xi Fa Cai! 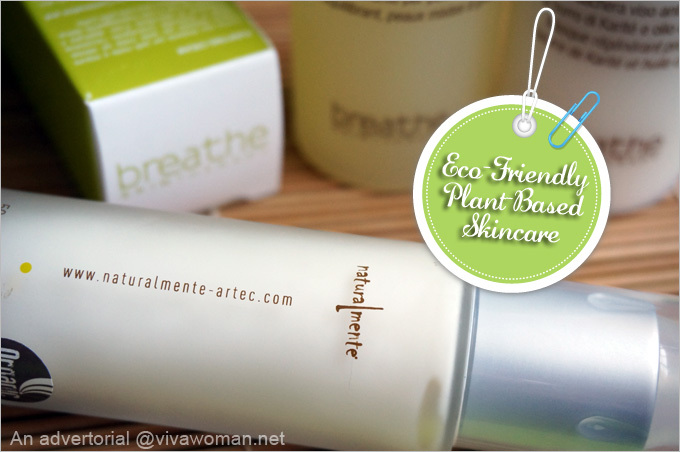 I am interested in trying out Naturalmente Breathe series – Softening Lotion and Moisturizing Cream. 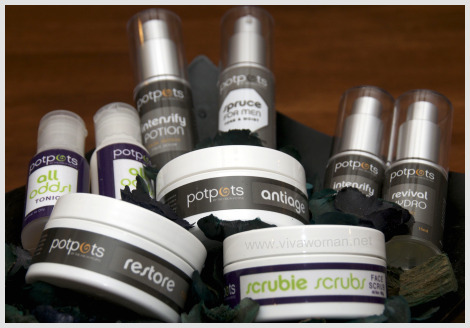 I would like to ask for your opinion.. Based on their ingredients, do you think they can go well with Derma E sunscreen? I am currently using Derma E sunscreen.. and i am concerned whether they will can go well together.. you know sometimes it can be quite a headache when moisturizers and sunscreens of different brands can so called ‘fight’ with each other..
and recently i have noticed another brand of sunscreen in iHerb, the brand is called Elemental Herbs, SPF 33. the ingredients look okay.. I think they should work well. I find Derma E to go well with many products actually. If you’re going to the shop to get the Naturalmente range, why don’t you bring the Derma E sunscreen along to test if you can? I looked up Elemental Herbs. It’s a sports sunscreen…ingredients look quite good but wonder how’s the texture. Reviews seem to be average but then again, Derma E’s reviews aren’t as fantastic although I like it very much.